Vicky Álvarez, the actress’s sister, organized the festivities with Claudia’s friends at the W Punta de Mita. The Riviera Nayarit once again sets the stage for a celebration of love. This time around Mexican actress Claudia Álvarez and her friends were in town to celebrate her upcoming nuptials. Punta de Mita, the Riviera Nayarit’s Glamour Peninsula, was chosen for the occasion. 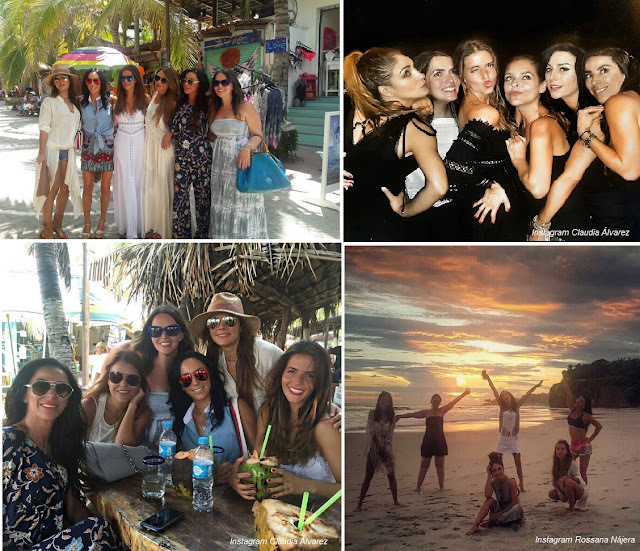 The actress and model’s sister, Vicky Álvarez, organized her fun bachelorette party with some of her closest friends including TV hostess Inés Gómez Mont, actresses Grettell Valdéz and Rossana Nájera, and Heydee Hoffmann. It was an unforgettable experience during which they were able to admire the beauty of this microdestination, be completely pampered by the excellent service offered and enjoy the area’s many natural attractions. The celebrities indulged in some well-deserved R&R at the W Punta de Mita, where they celebrated the future bride in a very exclusive bachelorette party held in this luxurious, stylish hotel. They also visited some of the Riviera Nayarit’s iconic sites, including the Islas Marietas National Park. Thanks to the services provided by Punta Mita Expeditions, Claudia and her friends enjoyed a spectacular day where they experienced the charms of the area firsthand, taking time to snorkel and Stand Up Paddle. They also had time to bask in the warmth of this heavenly destination by visiting the Maginal Town of Sayulita, where they visited the inviting, colorful shops that line the streets, pausing to admire the handicrafts produced in the region. “The Riviera Nayarit is one of the Mexican destinations that I enjoy the most, and having spent a few incredible days there with some of my favorite people I know I will never forget it,” said Claudia Álvarez. The celebrities shared their favorite moments in the Destination throughout their entire stay by posting to their followers on their personal Instagram and Twitter accounts.